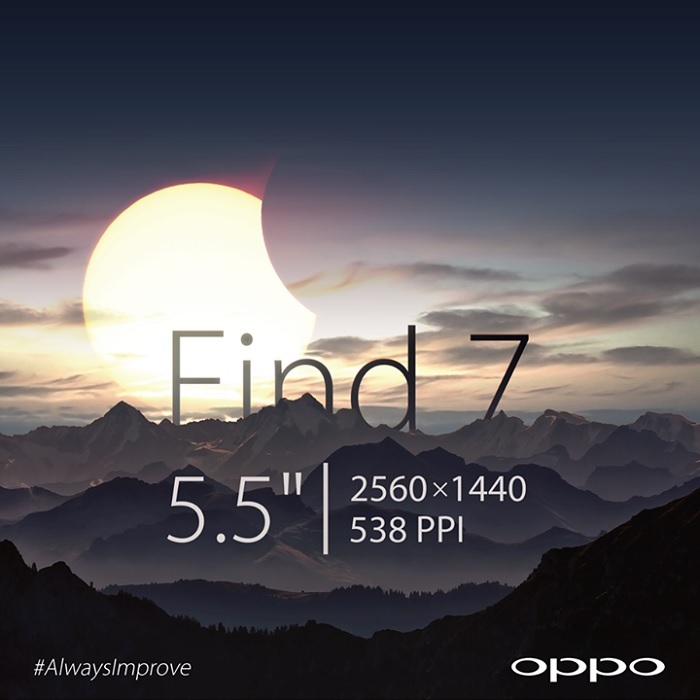 From the past few weeks, the Chinese OEM Oppo has been teasing its upcoming hands, Find 7. Last week, the company posted a teaser confirming that it will feature 2K resolution, but failed to mention the size of the screen. Now, the company has posted another teaser on Facebook, confirming some specifications of the handset. According to this new teaser, Oppo Find 7 will rock a 5.5-inch display sporting a resolution of 2560 x 1440 with a pixel density of 538ppi, which is quite impressive but we can only judge the display when it’s available in the market. 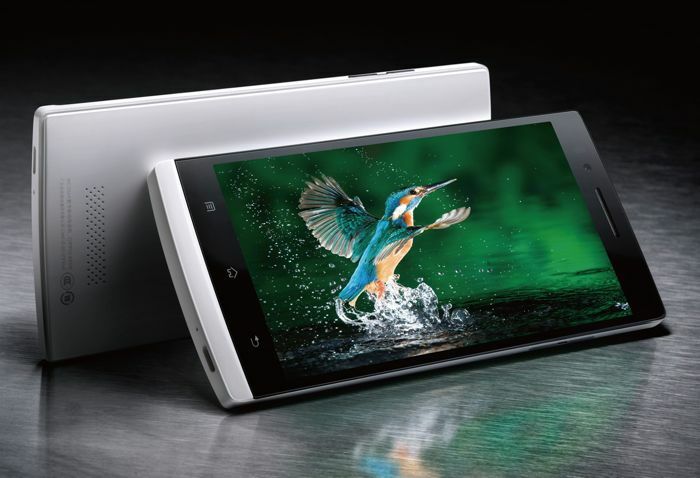 Other rumored specifications of the upcoming Oppo Find 7 includes a Snapdragon 805 chipset with a clock speed of 2.5GHz with Adreno 450 GPU, 3GB of RAM and 4,000 mAh battery. On the storage side, Oppo Find 7 is rumored to launch with 16/32/64GB options. The handset is expected to come with Android 4.4 KitKat pre-installed out of the box, and a 13MP rear camera with a 5MP front-facing camera. There’s also a chance that Oppo launches a CyanogenMod version of this device, similar to Oppo N1. There are no details about the pricing of the handset. Additionally, a grain of salt is recommended as we cannot comment on the quality of the display until it hits retail and is being used.